As we celebrated Martin Luther King Jr.’s birthday this past weekend, it’s both an honor and a privilege to share why the U.S. Civil Rights Trail should be your next road trip when traveling stateside. America’s Civil Rights Movement spanned over many decades and several states from as far west as Kansas to as far east as Washington D.C. 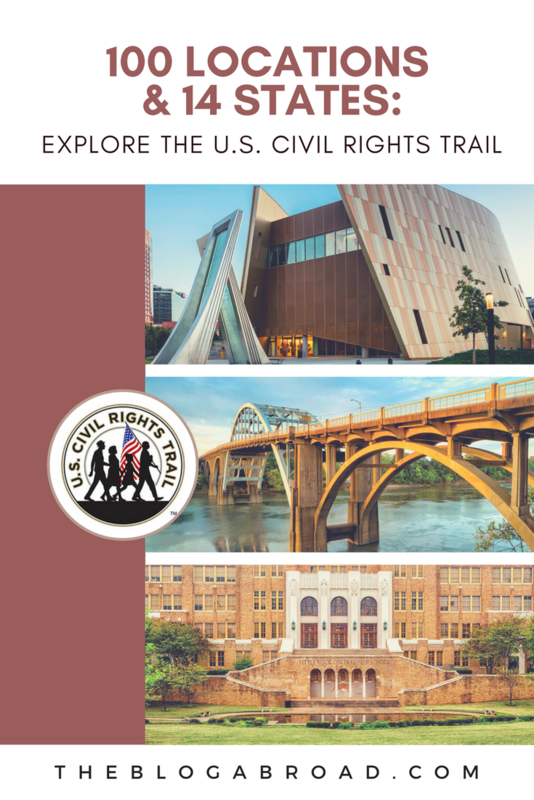 The U.S. Civil Rights Trail website allows you to explore and experience each destination in a comprehensive way within the context of the Civil Rights Movement and the historical impact it still has today. 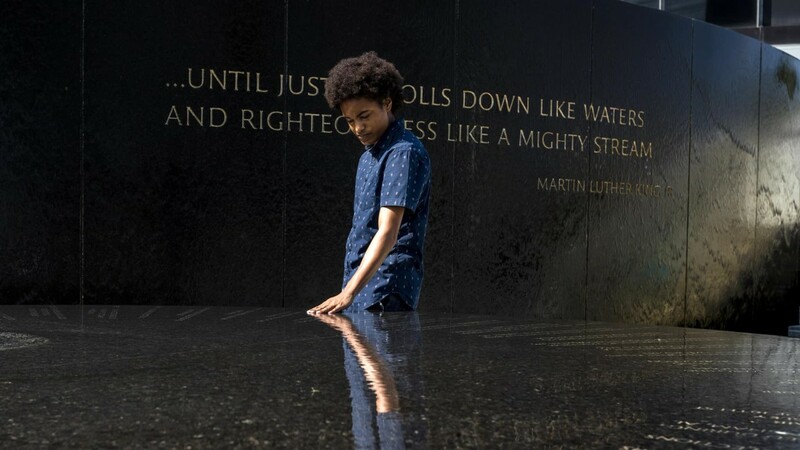 You’ll find meaning, discovery, heartbreak, but most of all inspiration on this trail made up of schools, museums, churches, courthouses, and other landmarks in the south where activists would challenge the status quo of segregated communities in the 1950s and 1960s to advance social justice. The establishing of this trail came as a result of Georgia State University finding 60 surviving landmarks from the civil rights era, combined with Southern state tourism directors finding another 40. 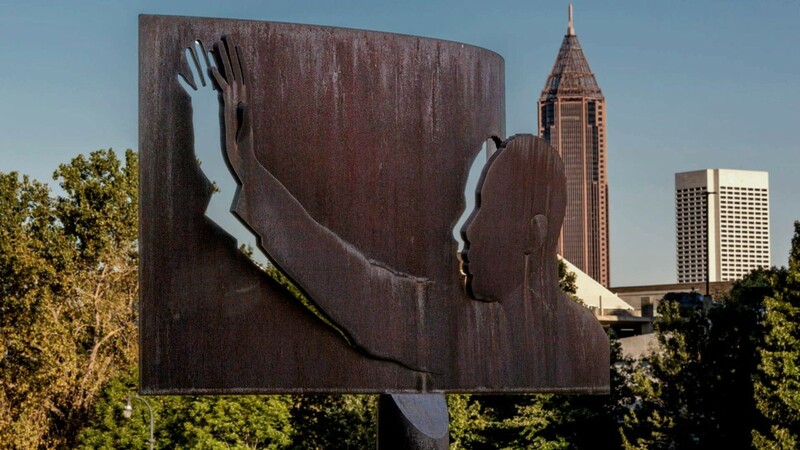 The most notable face of the Civil Rights Movement, Dr. Martin Luther King, Jr., has key monuments that span across a few of the states mentioned, from his birthplace in downtown Atlanta, to the place he was assassinated in Memphis, Tennessee. It’s not through living in the past that we can inspire change, it’s by remembering and honoring it, that we can find ways to continue to build bridges instead of borders, to minimize the divide in this country. One of the many ways black citizens were regarded as lesser than or subhuman, was their lack of a right to vote or participate in politics. The Dallas County Voters League fought to register black voters in the 1950s and 1960s which was met with public opposition and resistance from state and local officials, and especially the Ku Klux Klan and White Citizens’ Council. On October 7, 1963, also known as “Freedom Day,” more than 300 black citizens waited in line all day at the voter registration office in Selma, in which only a few were allowed to fill out applications that would later be denied by white officials. And in response to the uprising of voter rights for black citizens, Judge James Hare issued a judicial order that made it illegal for two or more people to gather in support of voting rights. When Dr. Martin Luther King spoke at the Brown Chapel AME Church to encourage people to redouble their efforts to fight for equal rights, it led to his arrest on February 1st and finally President Lyndon B. Johnson publicly declaring his support. On March 7, 1965, 600 civil rights protesters marched from Selma to Montgomery along the Edmund Pettus Bridge pictured above, only to be met with barbaric troopers and armed citizens with nightsticks and tear gas, leaving many injured and beaten unconscious. This day went on to be remembered as Bloody Sunday. After more marches, persistence, and support, a year later in March 1966, over 11,000 black citizens had successfully registered to vote in Selma, and five black citizens even went on to run for office in Dallas County. Because of their sacrifices, black citizens today can make their voices heard around the nation, and I will never take that privilege for granted. Former President Barack Obama made a chilling speech on this bridge three years ago, and I encourage you to watch that here. National Museum of African-American History and Culture // Washington, D.C. The National Museum of African-American History and Culture is the only national museum devoted exclusively to the documentation of African-American life, history, and culture. It’s the latest museum of the Smithsonian Institution that houses over 36,000 artifacts dedicated entirely to the African-American experience. Following decades of efforts to promote and highlight the contributions of African-Americans, it was finally established by the Act of Congress in 2003. This museum puts you in the shoes of African-Americans who survived one of the harshest eras in world history, and shows you the systemic disadvantages that are still prevalent today. The conversations had in the 1960s are just as important now, because until discriminatory behavior is completely eradicated from our day-to-day lives, there is still so much work to do. The museum’s interactive exhibitions provides everyone an opportunity to explore the history of African-Americans’ stories, resiliency, optimism, and spirituality. The Martin Luther King Jr. National Historic Site is currently Atlanta’s top tourist destination which includes many key sites including the Ebenezer Baptist Church and the home of Dr. King’s birth. You can start at the Visitor Center, for a brief orientation of the historic site, and even bring your kids along for the “Children of Courage” exhibit catered towards younger visitors. From there, you can go to the Behold Monument, what the late Coretta Scott King unveiled in 1990 as a tribute to Dr. King and all who fought for dignity, social justice, and human rights. In 1992, the “I Have a Dream” World Peace Rose Garden was planted at the MLK National Historic Site as an artistic interpretation of Dr. King’s life and ideals of peace through nonviolence. 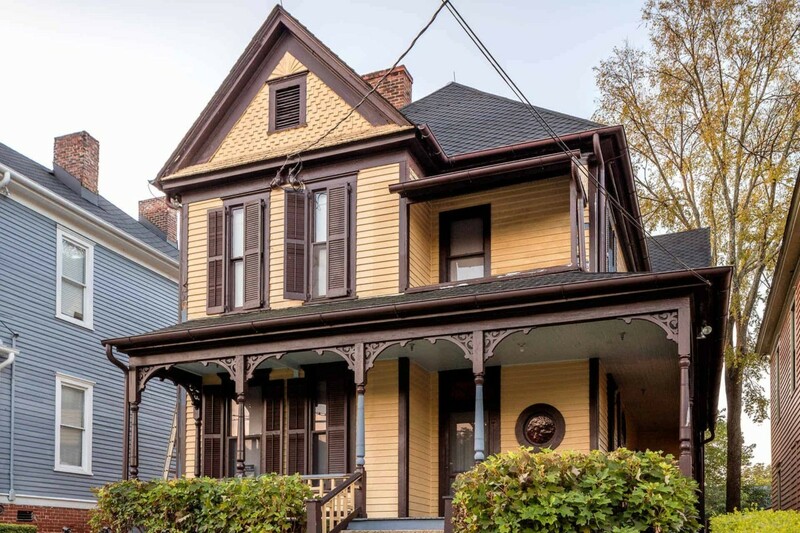 Next, you have a two-story frame Queen Anne style house on Auburn Avenue, where Dr. King spent the first twelve years of his life, which is often the highlight of people’s visit to the MLK National Historic Site. Tours are limited to 15 people at a time and filled on a first-come, first-served basis on the day of the tour. 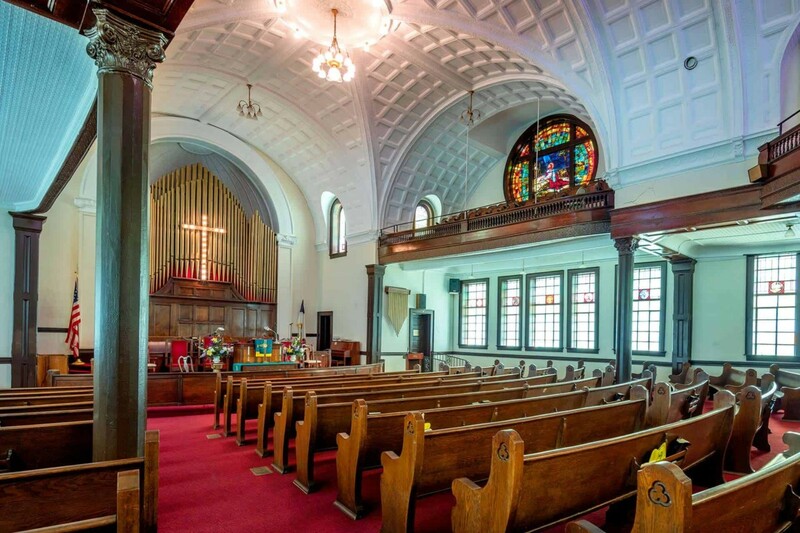 Martin Luther King, Jr. became an ordained minister at Ebenezer Baptist Church, another notable stop on the site, where he preached until his passing, and where his funeral was eventually held. And finally, you have The King Center, the final resting place of Dr. King, Jr. and exhibits on his life and legacy. “What happened here changed the world.” American history is a complex one — but it simply can’t be written without including so many stories of resilience, courage, and triumph from so many African-American leaders whose legacies live on through these monuments and landmarks today. I hope this article inspires you to trek this trail for yourself, and as someone who gets to benefit from the fights of those before me, I take so much pride in getting to share this article with you all in hopes that you take the initiative to learn more about the civil rights era that is responsible for so many privileges I and millions of other black people in America are afforded today. He marched so I could run. May his legacy never die. PIN this to your roadtrip or stateside travel boards! Next post: Announcing Group Tours: Take a TrovaTrip with Me to Portugal!